Dreams we dare to dream do come true if we have the courage to pursue them. Having a dream is important for it helps us to set our goals and achieve something big in life. With hope and endeavour, we can make our dreams come true. This issue of Sruti has a few stories about the achievements of those who dared to dream. 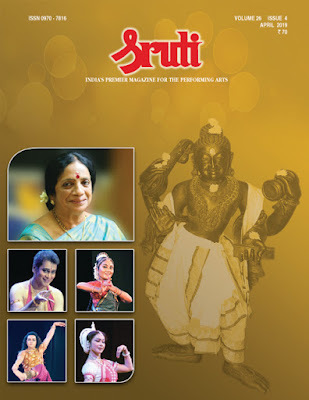 Padma Subrahmanyam, dancer-scholar who pioneered Bharatanrityam and is known for her pathbreaking research on the karanas, dared to dream a mammoth one. She wanted to construct a unique memorial for Bharata, author of the Natya Sastra. It took her about 25 years, but a winner is a dreamer who never gives up. By relentlessly pursuing her passion and by involving the dance fraternity and philanthropists, she realised her dream in the successful establishment of the Bharata Ilango Foundation for Asian Culture near Chennai. Dr. V. Raghavan, whose 40th death anniversary falls in April, was a visionary. His steadfast dedication to a variety of causes—be it literature, heritage or the performing arts—saw him emerge as a pioneer in Indology. Raghavan’s love for the Sanskrit language and devotion to Sanskrit drama led him to launch the Samskrita Ranga 60 years ago. In this issue, his son and daughter share with us the story of his deep involvement in all he did. In spite of facing difficult circumstances, Samskrita Ranga is continuing the good work. K. Omanakutty who received the Sangita Kala Acharya award from the Music Academy this year, is an admirable amalgam of concert musician, guru, academician and administrator. A busy artist for over 60 years, she has, by dint of hard work and by pursuing her passion to explore, learn and analyse, become a role model for students of Carnatic music in Kerala. We present an interesting article on her by one of our diligent contributors, C. Ramakrishnan, who has been writing a series on musicians of Kerala. 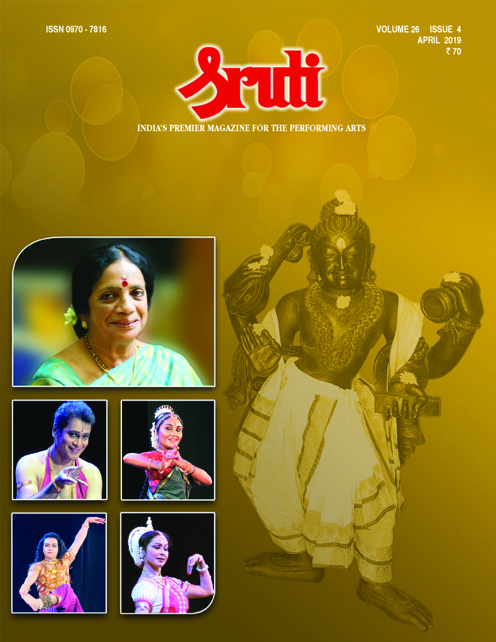 In this issue too, we have tributes to S. Rajam on the occasion of his centenary. There are also interesting impressions of the dance season, with questions raised about selection of artists.